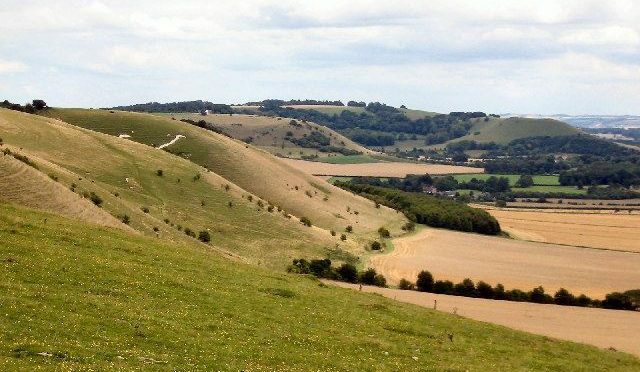 Kate Davidson leads a 26-mile mixed ride starting at Barbury Castle, heading along the Ridgeway to East Kennett (stopping off for a cuppa at Avebury en route) and over towards Alton Barnes, up Knap Hill and along the Pewsey Downs, and on towards West Woods. Returning via Clatford Down, through Rockley and back up Four Mile Clump to Barbury Castle. We’ll be riding on byways, hills, downland, through woods and the odd country road. 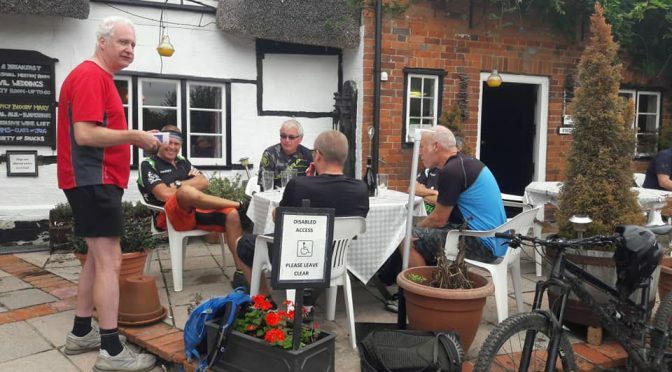 Everybody is welcome, and no-one will be left behind, but although the terrain is not especially technical, it is a long ride, with the longest hill at the end, so please bear this in mind when gauging if this ride is suitable for you. Anyone happy to ride this distance, who can cope with hills and varied terrain, is very welcome. The usual applies – bring anything you might need for your bike, warm clothing and waterproofs in case of rain, and a bit of food to keep you going. Meet at Barbury Castle Car Park for a 10am start. 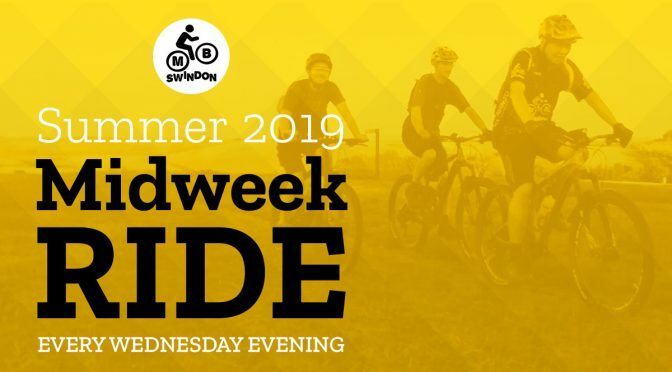 Tom Scott leads this week’s Wednesday night ride. Meet at Foxhill ready for a 7.00pm start. Midweek rides are usually about 15 miles long, using sections of the Ridgeway and the Marlborough Downs. Expect to be out for about 2 hours. The rides are novice-friendly and no-one gets left behind. You’ll need lights, a drink and a spare tube or repair kit. 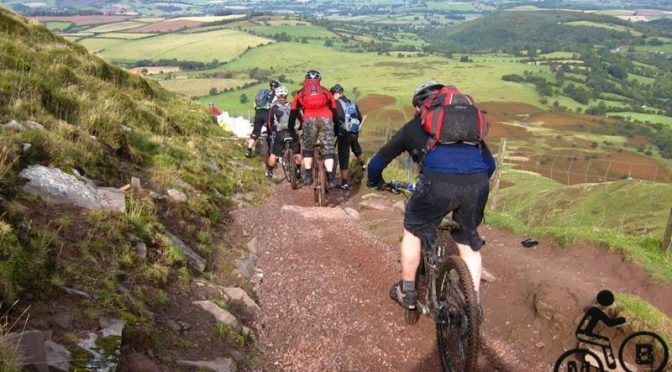 Hilda-May Latham is leading a ride at the Afan trail centre on Easter Sunday. We will leave the visitor centre at 10am to do the Y Wal trail. The trail claims some of the best singletrack descents in the UK varying from fast, open and flowing to tight, technical and rooty. It is mostly single track with a range of climbs and descents of a challenging nature. This is a red graded trail, and not considered novice friendly. 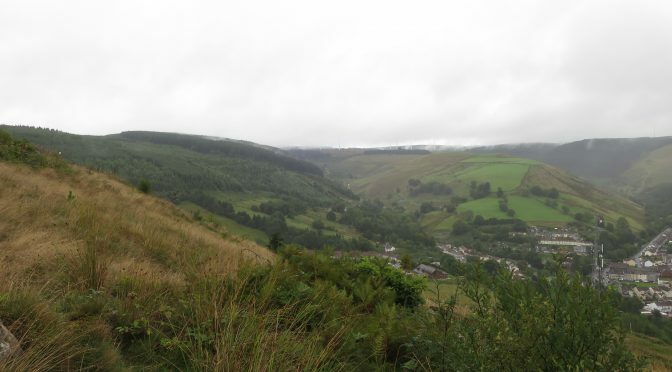 We will traverse the north side of the Afan Valley stopping to enjoy the views of the valley and coastline. You can expect boardwalks, berms, large rocks, medium steps, drop-offs, cambers and water crossings. There is approximately 450m of climbing. For those interested in a slightly longer day out there is the option to tag Blue Scar or Penhydd on after a spot of lunch. Wailun Chung leads the first of this Summer’s regular Midweek Rides. Meet at the Patriots Arms in Chiseldon ready for a 7.00pm start. The Midweek Rides take us out of town and up onto the Ridgeway and the Marlborough Downs. A typical ride is about 15 miles long, taking about 2 hours to complete. The rides are relaxed, social affairs, and all are welcome to come along. No one gets left behind! You’ll need lights, a drink and the usual spare tube or repair kit. Remember to pack a jacket as the temperature drops quickly once the sun sets. We often call into the pub on the way home, so it’s great way to get to know people in the Club. Hope to see you there! Graham Burgess will be leading us again in Welsh Wales on Sunday 31st March starting from Talybont-on-Usk and taking in the iconic Brecon Gap Loop. The ride goes straight into the first climb, which is several miles long at a reasonably steady gradient, up ‘The Tramway’ with spectacular views back across Talybont Reservoir. We will probably be climbing for upwards of an hour! The route then goes across open land before the first descent which is fast, rocky and lots of fun. We will then call into The Old Barn Tea Rooms. Fully refreshed, we will take on the long-but-steady slog up to the top of The Gap (there is a bit of a “gem” en-route  ). After a breather and time to take in the views, we will smash out on the final descent – awesomeness at it’s very best! Due to the technical nature and elevation, this ride is not suitable for novice riders, but anyone with reasonable skills and fitness is very welcome to join. Bear in mind that this is ‘in the mountains’ – so bring suitable clothing, food/drink, spares and a fully working bike! We will set off at 10:00am from Talybont-on-Usk. There is plenty of parking in The Village Hall carpark which also has hot showers and a superb bike wash facility. PLEASE SEND GRAHAM A PM IN ADVANCE SO HE KNOWS WHO TO EXPECT AND ENSURE WE DONT SET OFF WITHOUT YOU! NOTE: several of us are doing the Evans Cycles Event the day before and will be staying over at the Star Bunkhouse in Bwlch (where we stayed for last Summer’s Brecon Weekend) on the Saturday night – price per person is £19.00 – you can book yourself a place by contacting them directly. There is a great pub directly opposite for evening meal and we will be self sufficient for breakfast. Tom Scott leads this week’s Urban Round. Meet at Morrisons in Eldene ready for a 7.00pm start. The Urban Round is usually around 20 miles / 2 hours long and is mostly along cycle paths and minor roads in and around Swindon. It is suitable for all riders and no-one gets left behind. Steve Jeans will lead this novice friendly ride on the 24th March. Meet by the diving board at Coate Water, ready for a 10.00 am start. This will be an easy, social ride along the railway line to Marlborough, where there will be a cafe stop. The ride back will also be along the railway line. At around 25 miles, the ride will be longer than the average Novice-friendly ride, but the route is almost entirely flat. Expect to be out for around three hours. Wailun Chung leads this week’s Urban Round. Meet at John Lewis, Mannington, ready for an early 6.30pm start. Urban Rounds are usually around 20 miles / 2 hours long. Using cycle paths and minor roads, they are suitable for riders of all levels and no-one gets left behind.